Monexpress concept was initially established in 1998 and we officially started our trading in the UK in January 2000. 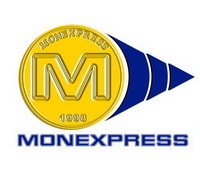 Monexpress provides instant, cost effective, smarter, more secure and efficient services. Monexpress was registered with HM Revenue & Customs (HMRC) in 2002 . PI companies are supervised and regulated by the Financial Conduct Authority (FCA). Monexpress is registered with FCA under the Payment Service Regulations 2009 (PSRs). Monoexpress is a member of the UK Money Transmitters Association (UKMTA).